A Harare man yesterday narrated how businessman Frank Buyanga allegedly fraudulently processed change of ownership of his house before selling it behind his back, a court heard. Buyanga had advanced a $19 000 loan to Steven Nyoka and recommended title deeds of the man’s Mabelreign house as surety before selling the house to a third party. However, Buyanga is not the one being charged for the fraud but a property manager, Bishop Jeche, 45, and his company (are charged) for allegedly lying that they had become property owners after buying the house at $35 000 from Buyanga. According to a Deed of Transfer allegedly doctored by Buyanga during the sale of Nyoka’s house, the businessman misrepresented to have bought the $130 000 property for a paltry $19 000 and later sold it to Jeche at $35 000. “At that time he sent Akim Ndlovu and Simon Chareva and after the assessment I was told that I should pay $250 for paperwork and that failure to meet the loan repayment period he would extend time on terms that the interest would also increase,” Nyoka said. 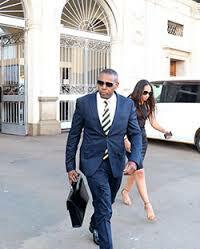 Nyoka told the court that he was made to sign an agreement of sale purporting that he had sold his house to Buyanga before being advised that the document was meant to protect the businessman’s interests since he was not authorised to give out loans. “I paid interest of $2 000 for two months as agreed and was going to pay a further $1 000 the third month when I met other people who had acquired loans from him who urged me to check the ownership status of my house saying their own houses had been moved into Buyanga’s name,” added Nyoka. Nyoka said he was shocked at the development because Buyanga had never engaged him during transfer of the property as required at law. He said it was not possible that he could have undervalued his $130 000 property to $19 000 as purported by the doctored Deed of Transfer. In his defence, Jeche is challenging any documents that link him to the offence and said Nyoka ought to follow the law in invalidating the disputed title deeds. Jeche said Nyoka was evicted following a High Court order and said he was never involved in the transfer of the property to Buyanga’s Orton Drift company. According to State papers, sometime in August 2009, Nyoka entered a loan agreement of $19 000 with Frank Buyanga and his company Orton’s Drift Properties. The terms of the loan were that an interest of 10 percent per month would be paid together with the capital within three months. However, since Buyanga’s company was not registered money lenders the loan agreement was to be concealed by disguising it through a simulated agreement of sale of Nyoka’s house number 6 Danbury Avenue, Mabelreign in Harare. The complainant was made to sign a power of attorney to pass transfer, a declaration as seller and acknowledgement of receipt of the $19 000. It was alleged that Nyoka then tendered his title deeds as security of the loan.